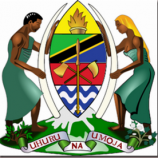 The Government of the United Republic of Tanzania has received grants from AFD toward the cost of the Water Sector Development Program (WSDP) and intends to apply part of the proceeds for consultancy services. The intended service Services for External Auditing of Afd Fund-Core Team Accounts. The Ministry Of Water and Irrigation now invites eligible consultants to express their interest in providing the above service. Interested consultants must provide information indicating that they are qualified to perform the service. For that purpose, documented evidence of recent and similar services shall be submitted. Determination of the similarity of the experiences will be based on the fields of services (see above). Consultants should also demonstrate that they have significant experience in similar conditions. The Ministry of Water and-irrigation will also take into account for the evaluation of the applications the availability of appropriate skills among staff consultants may associate with other firms to enhance their qualifications and experience. A Consultant will be selected in accordance with the procedures set out in the AFD Guidelines. The Ministry of Water and Irrigation will prepare a shortlist of about six candidates to be pre-selected on the basis of the expressions of interest received to whom he will send a Request for Proposals to perform the services. Expressions of Interest in a sealed envelope clearly marked: "Expression of Interest, Tender No. ME - 01112015-2016/C/40 Provision of Consultancy Services for External Auditing of Afd Fund - Core Team Accounts" must be delivered to-the address below not later than 20th December, 2017 at 2.00 pm local time.